Athens&apos; Own Sanni Baumgärtner is a German Native turned long-time Athenian. 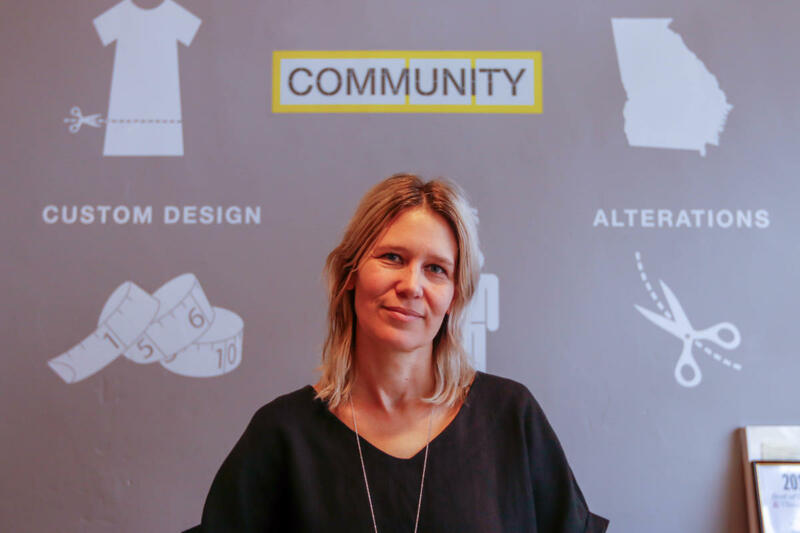 Baumgärtner runs and owns the sustainable fashion shop COMMUNITY located on Jackson Street in Downtown Athens. The boutique sells handpicked vintage finds and creates modern designs from dated trends. Sanni’s journey began when she left Germany in the late nineties for a year-long study exchange at the University of Georgia. She fell in love with the city and the sense of community that Athens, Georgia provides. Sanni spent 10 years in the Athens music scene as the lead singer and songwriter for a number of bands, while simultaneously working in the vintage clothing sector buying and selling stylish pieces. Her interests in clothing style and the urge to start a business led her to the creation of Community. "I love Athens, but it&apos;s a difficult place to find creative careers. I didn&apos;t want to leave, so I decided to create my own," said Sanni, whilst working the register at the Community counter. With no formal training in business or fashion, Sanni&apos;s buying experience and passion for design led her to starting a sustainable boutique for redesigning stylish vintage pieces into modern trends. Her favorite colors are chartreuse and mustard yellow, but indigo is the hue you&apos;ll notice in her newest collection. And if this isn&apos;t relatable enough, she gets inspiration from Pinterest. Finding around-town vintage and up cycling for modern looks is what she does best. Sanni Baumgärtner is Athens made and Athens&apos; own. Community’s identity is best described as one word: sustainable. 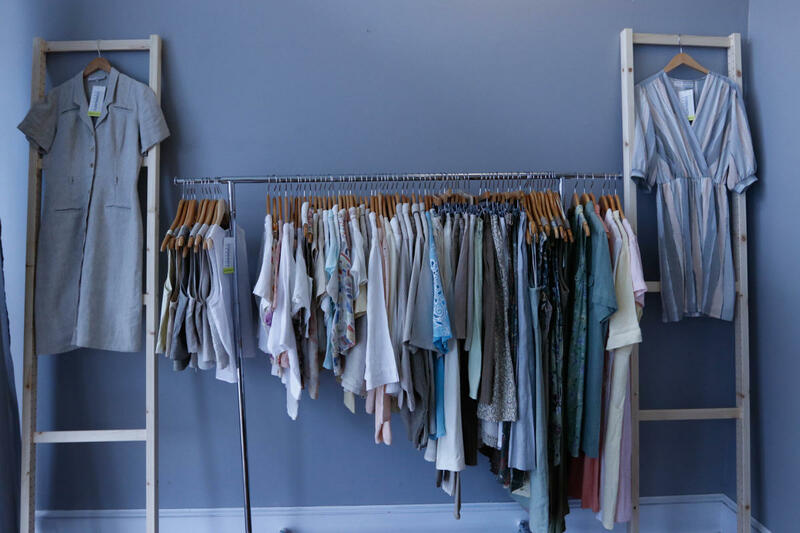 The clothes are recycled, the products are handmade, the environment is useful. Sanni’s dream of fashion and design ultimately led her to creating a store for service. Looking past the storefront glass and seasonal display, you&apos;ll enter Sanni&apos;s work of art. 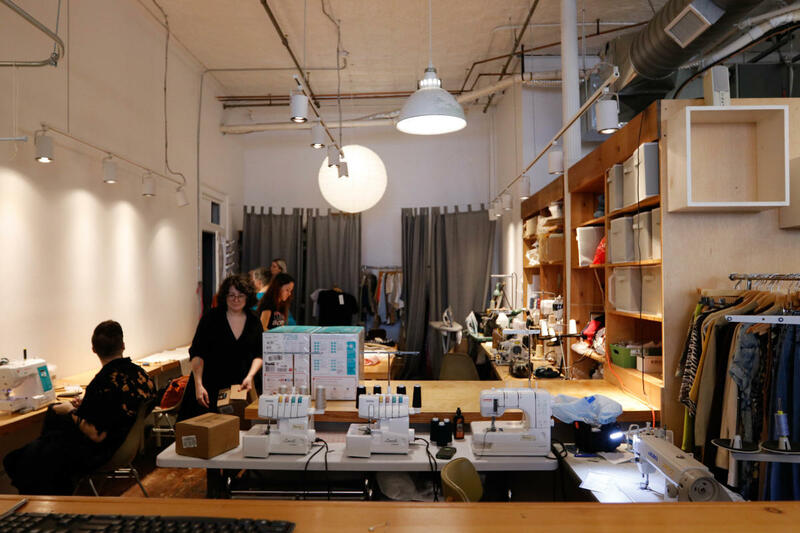 Her show room, her design studio, her classroom, her workshop, her happy place. 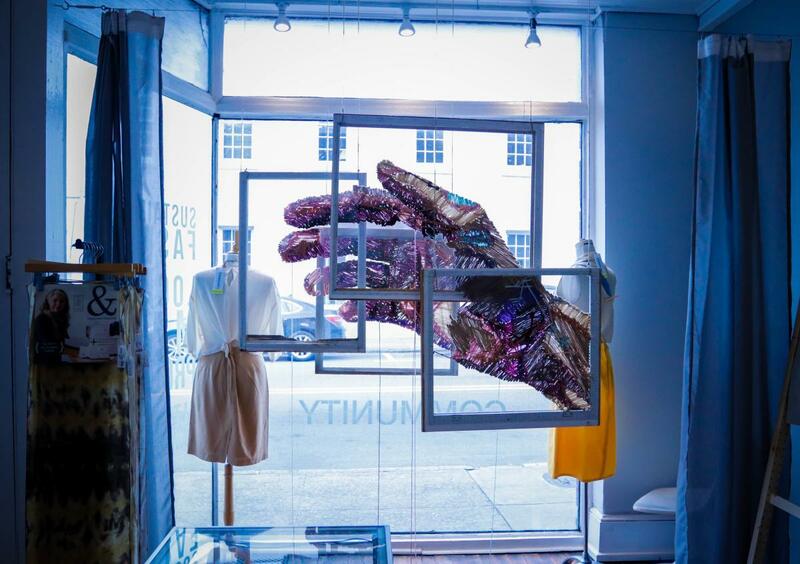 The Jackson Street boutique is both a fashion house and a place for people to learn, to sell, to use, and to love. 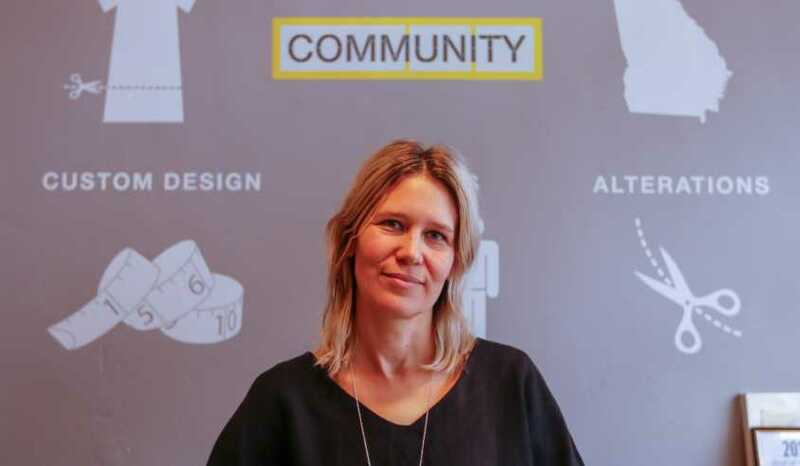 The goal in Sanni&apos;s mind when she started her brand was for Community to be a place of service to the people, as well as a shopping destination. Her idea to hold sewing and design classes brings in local learners wanting to better their skills or learn a new trick. One can sign up for a variety of workshops to learn from a professional, and often times you will find Sanni among the students. Also, feel free to bring in non-fitting pieces because they do alterations as well. Sanni&apos;s students that complete courses often fulfill their own design dreams and sell products inside Community as well. Some now work in the store as tailors working on the redesigns. Sanni looks for employees who are committed to Athens with no plans of leaving. Every item in the store is locally made. She supports Georgia artists just as this town has supported her. Community&apos;s identity, however, will not stay local for long. For the past year, Sanni&apos;s line has been sold through Citizen Supply at Ponce City Market in Atlanta. Her redesigns prove popular outside of Athens, so the next step for Community is to get into other boutiques outside of Georgia. Brooklyn, Nashville, and Savannah are locations on Sanni&apos;s list. Expanding the places for the collections to be sold means an online store presence comes next-- Sanni wants people to have access to purchase her fashions by the click of a mouse. When asked if she could see her designs outside of the United States, perhaps in her German homeland, she responded, "Wow, I could maybe see my redesigns in Germany one day-- if we ever get that big. I think the line would do well, because when Germans visit my store here they respond positively to the clothing style. Obviously my European background influences my design flare, and Germans also like sustainability and repurposed items." Community is one of the many locally created and owned stores in Athens, GA. For more shopping options, please see our Places to Shop page or our full list of Vintage Shops in Athens. 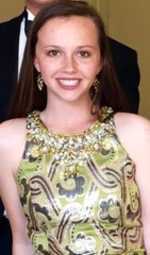 Reynolds is currently a Senior at the University of Georgia studying Visual Journalism. She drinks hot tea like its her job, and practices yoga to stay sane. Catch her around Athens eating brunch and exploring everything the Classic City has to offer.